This weekend: Yet another great weekend to GET OUT! - GetGoing NC! We hike, in part, to explore (which is one reason the urge to go off trail can be so great). We love to see new things, love to see things that not a lot of other folks get to see. Hence, our recommendation for Saturday’s Jones Island Eco-Tour at Hammocks Beach State Park. Logistics: Jones Island Eco-Tour, Saturday, Nov. 12, 10 a.m., Hammocks Beach State Park, Swansboro. Free, but space is limited and preregistration required, by calling 910.326.4881. Saturday forecast: Temperatures in the low 50s under sunny skies. Looking ahead: North Carolina Birding Trail Hike, Halyburton Park, Wilmington, Dec. 15, 8 a.m. More info here. We’re used to looking to the treetops for our fall color. But there’s often good color in the understory. And that will be the focus of Sunday’s Fall Paint Hill Hike at Weymouth Woods Sandhills Nature Preserve. 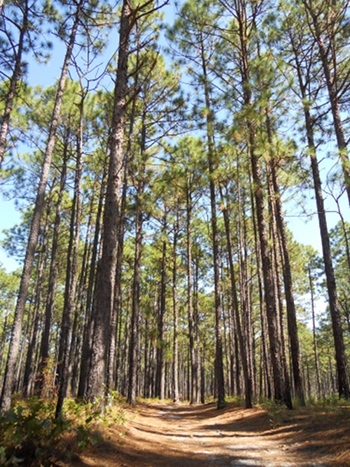 Logistics: Fall Paint Hill Hike, Sunday, 3 p.m., Weymouth Woods Sandhills Nature Preserve, Southern Pines. More info here. Saturday forecast: Clear, with hikes in the low 60s. Looking ahead: Occoneechee Geology Hike, Occoneechee Mountain State Natural Area, Hillsborough, Dec. 17, 2 p.m. More info here. Back in the day, we heard of people who would buy a ticket to the matinee down at the Bijou, then, when that show was over, they’d mill about in the restroom for half an hour and sneak into a later show. Reprehensible behavior that, again, we’d heard other people who were not ourself had done. We’re wondering if some of those same folks might have similar thoughts about Saturday’s back-to-back program at Mount Jefferson State Natural Area in West Jefferson. At 2 p.m., a ranger takes you on a hike through the geologic wonders of the mountain’s unique metamorphic rocks. Then, at 4 p.m., a ranger holds court atop the mountain, pointing out the surrounding peaks and talking local history. Should you be inclined to double-dip, no one will look at you askance: both programs are free. 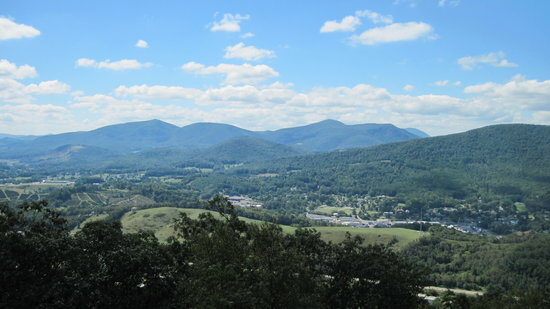 Logistics: Saturday, Geology Hike at 2 p.m., Vista Viewing at 4 p.m., Mount Jefferson State Natural Area, West Jefferson. More info here. Saturday forecast: Afternoon highs around 50 under clear skies. Looking ahead: Loons of Lake James Boat Tour, Lake James State Park, Nebo, Dec. 4, 1:45 p.m. More info here.